The FA Women’s Premier League Cup Final will be staged at Chesterfield FC’s Proact Stadium this Sunday (April 29). 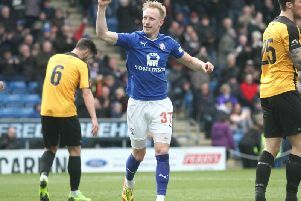 Leicester City and Blackburn Rovers, second and third respectively in the Northern Division, will battle it out for supremacy at the home of the Spireites. FA Women’s Premier League chairman Carol West said: “The Proact Stadium is a fitting platform for our showcase Cup Final. The FA Women’s Premier League Cup is an institution in its own right and I know that both Blackburn Rovers and Leicester City will more than do it justice on the day. Blackburn Rovers Ladies are no strangers to success in this competition, having reached the Semi-Finals in the last two seasons. They have been playing catch-up in the league in recent weeks, having had a backlog of fixtures caused by a combination of bad weather and successful cup runs. Having lost just once in the league in 2018, they are well set to push on and claim the Women’s Premier League Northern Premier title for the second successive season. Blackburn manager Gemma Donnelly said: “This is the first senior league cup final that Blackburn Rovers have reached in the history of the ladies’ team. Intriguingly, the one defeat Blackburn have suffered in the league in recent months was to Sunday’s opponents, Leicester City Women. In a close game that was poised at 1-1 going into the final stages, Sophie Domingo grabbed a late winner to give the Foxes the spoils. Leicester are currently sat one place above Blackburn in the table, have played three more games. If they can continue recent excellent form, they will be hoping to be in the mix for the league title come the end of May. Leicester boss Jonathan Morgan added: “To reach our first ever national final is a fantastic achievement for everyone at the club.